I got a poke from a friend and realized I guess I should post an update on how the project process was going. See this post for where I was a little less than six months ago. 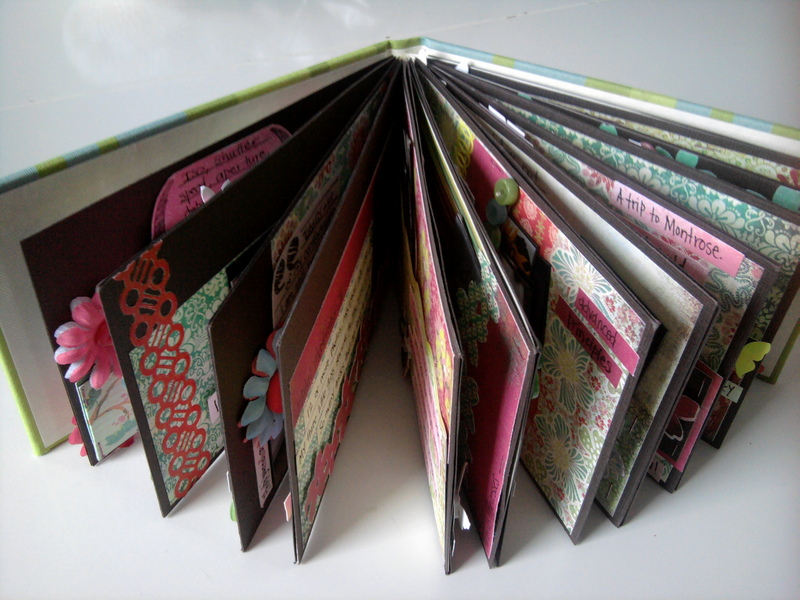 Project #2: my mini-album scrapbook of my time at the Art Institute. Pictures, design, and journaling. All done. 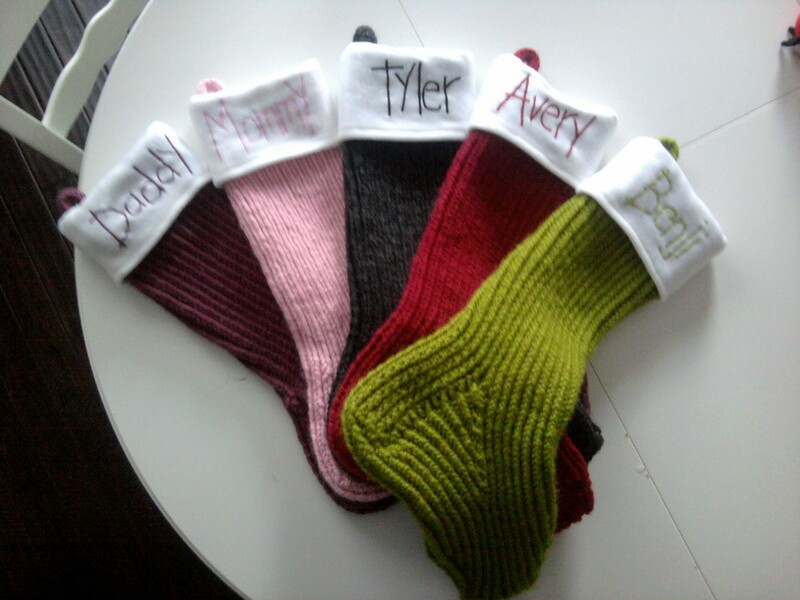 My toe-up socks. I am so glad these are done. I like the idea of knitting two socks at a time and knitting them from the toe up, but I wasn’t crazy with the heel of this pattern and how they turned out in general. I will keep looking for the perfect pattern. In the meantime, these are great ‘snuggling up on the couch’ socks. 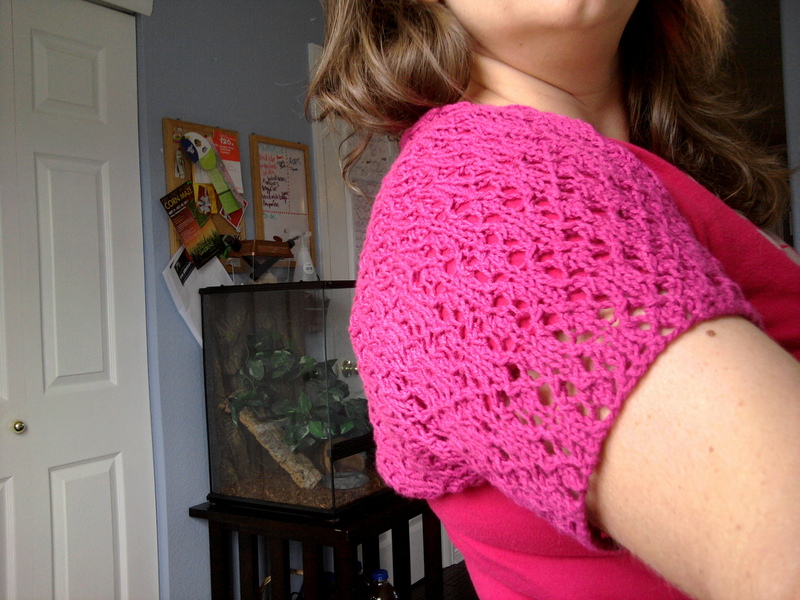 A shrug made out of some bamboo yarn from Paris. 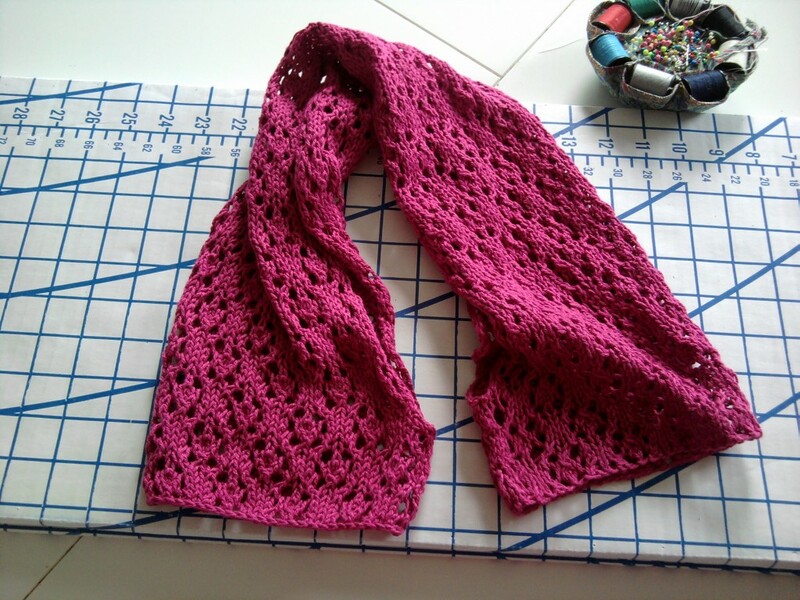 I changed the pattern a couple of more times before I found the perfect one for this yarn. I love it and have worn it several times since finishing! 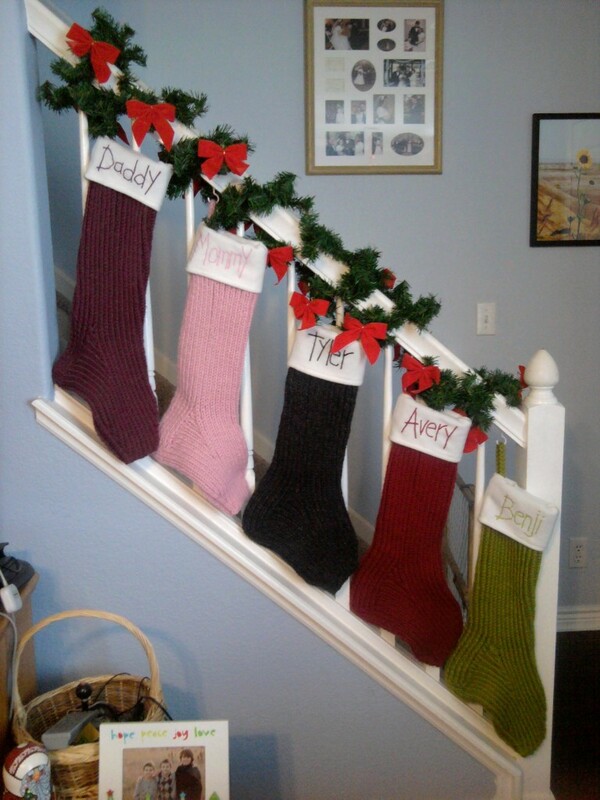 STOCKINGS!! Knitted, names embroidered, cuffs sewn on. Done. I love them! And the boys love that they have more room for Santa to put things in. 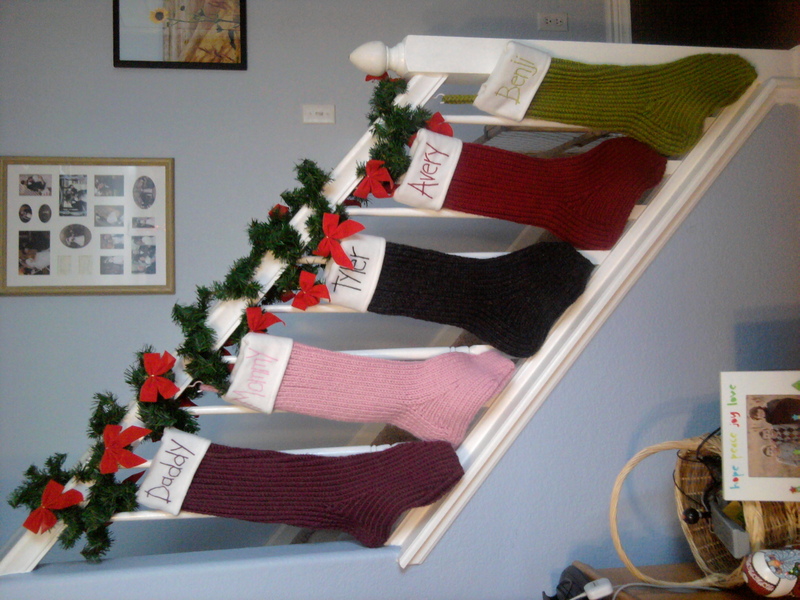 And the day after Thanksgiving…we hung our new stockings. Just love…. Even *I* was doubtful that I would get this one done. I am thrilled! I haven’t gotten it framed yet, but it will be. 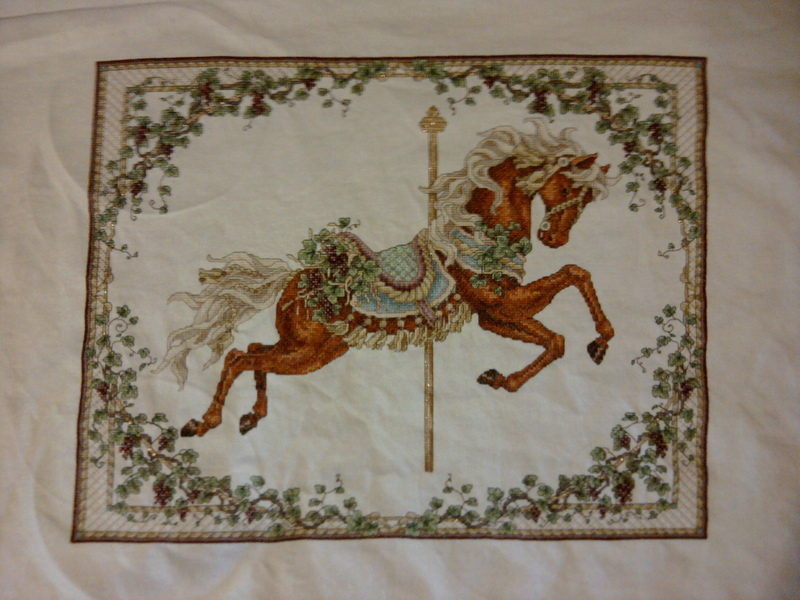 After the holidays, I think I’m going to start on one of the other horses. I am so motivated. 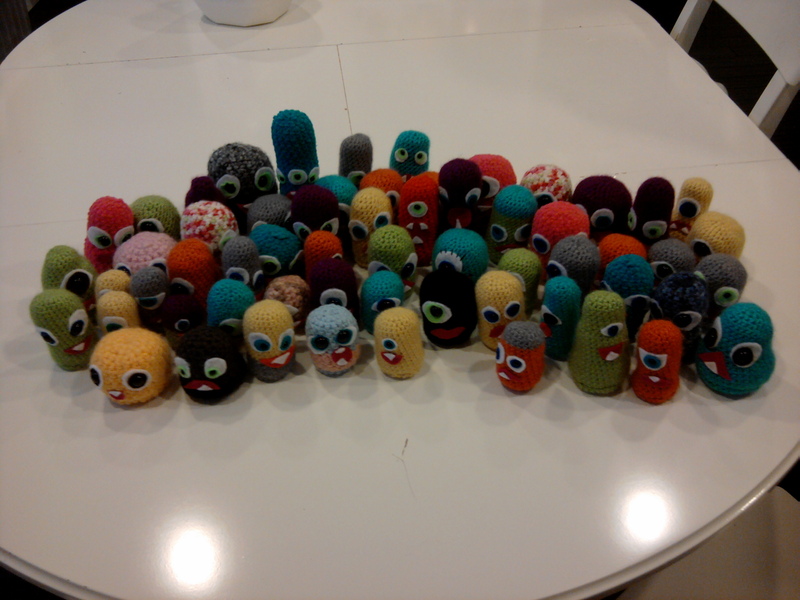 Oh right…that detour…I made these little guys. Avery took some in to his class for his birthday goodies, and Benji took the others in to his class for Halloween goodies. So cute, and so quick. Since finishing all of my projects, I have done a few others, but most of them are Christmas gifts, so I can’t post them just yet. Next up on my list…Christmas cards. Yikes! How did it get to be December already?!?!? !